Mother's Day Breakfast with Rotary! Looking for a way to CELEBRATE MOM and support local causes? Join the Manchester Rotary Club for its Annual Mother's Day Breakfast. Breakfast includes pancakes, eggs, bacon, sausage, coffee, tea and OJ. Pasta Dinner to Benefit HOPE! 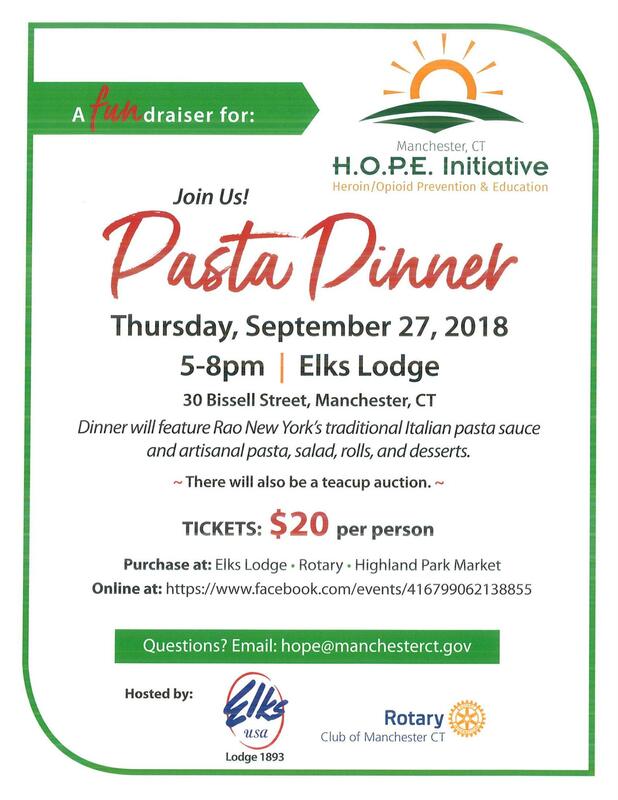 The Rotary Club of Manchester in Partnership with the Elks Lodge of Manchester is hosting a pasta dinner to benefit the Manchester Heroin and Opiate Prevention & Education Program (HOPE). 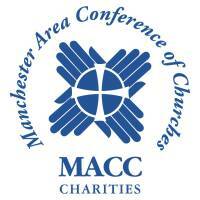 Manchester Rotarians send girls to camp! What does it take to send 33 Manchester girls to summer camp in Newbury, Vermont over the past 14 years? 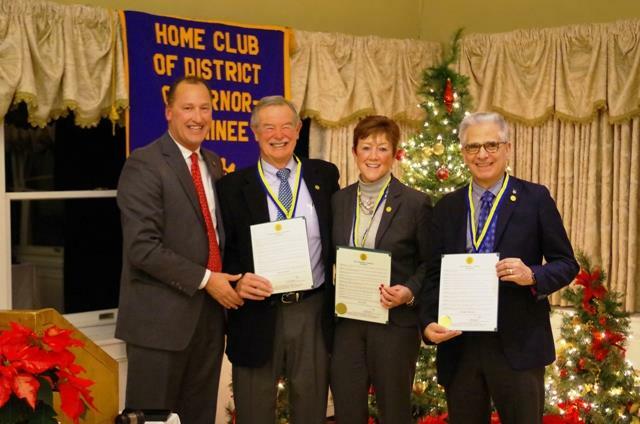 It takes the dedication and commitment of Marty Fins and his fellow Manchester Rotarians. It takes their gas-powered leaf blowers and string trimmers. It takes dozens of rakes, leaf barrels and some dump trucks. And it takes the support and cooperation of the Manchester school system to identify girls who would most benefit from a life changing, summer camp experience who would otherwise not have had the opportunity without this unique program. Saturday June 23rd from 9 am to Noon. This is a free event - for all ages. 30 engraved bricks installed in the Rotary Music Garden at Charter Oak Park. 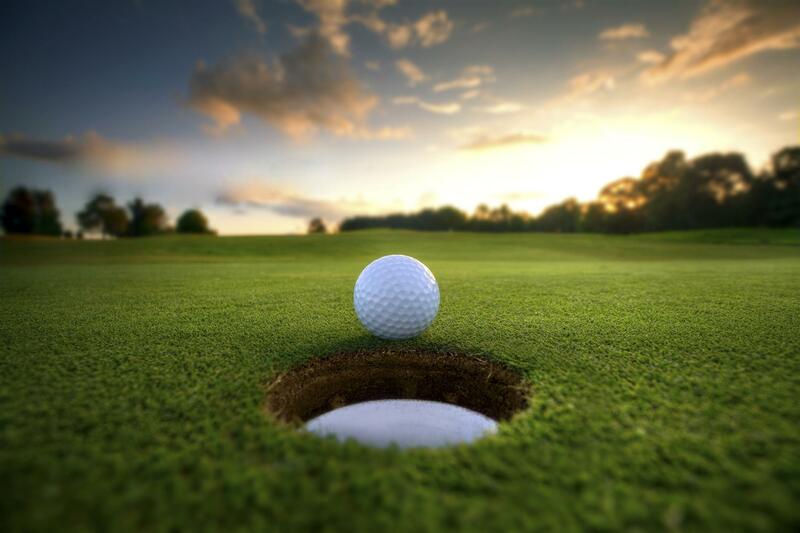 Join the Rotary Club of Manchester for the Holes 4 Hope Golf Tournament. 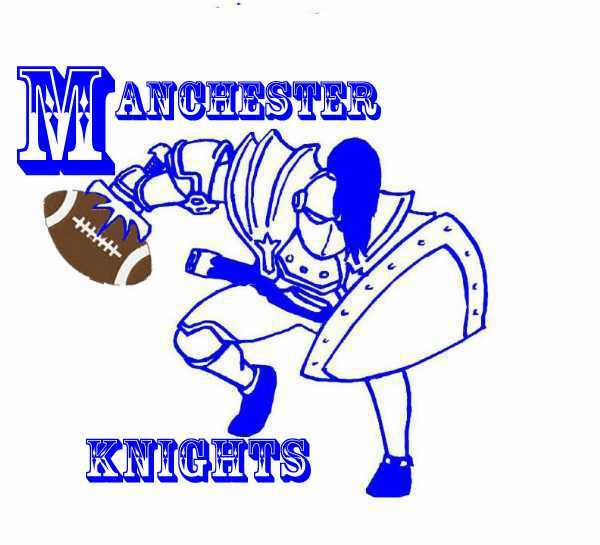 This event is to benefit Manchester Police Activities League, Manchester Knights Football, The Rotary music Garden at Charter Oak Park, and others. May 2nd 2018. See brochure. Happy 3rd grade students at St. James School when they recently received their own personal dictionaries from the Rotary Club of Manchester. The Rotary Dictionary project provides all third grade students in Manchester's 13 elementary schools with a new Webster's dictionary. Liane Lombardi, Manchester's newest Paul Harris Fellow! Manchester Rotary presents a check to the East Hartford Academy of Finance. Photos of the officer installation for 2017-2018. Congratulations Ken Golden! 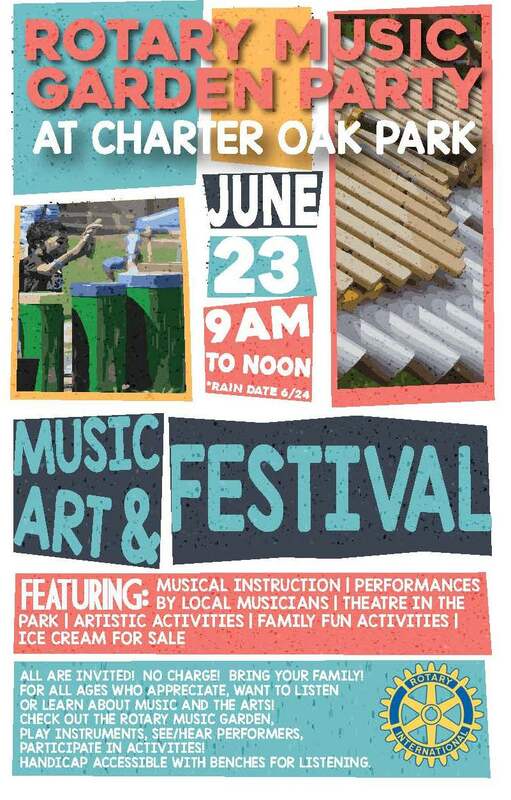 The Manchester Rotary Club is selling commemorative bricks to be installed at Charter Oak Park as part of the Rotary Music Garden. 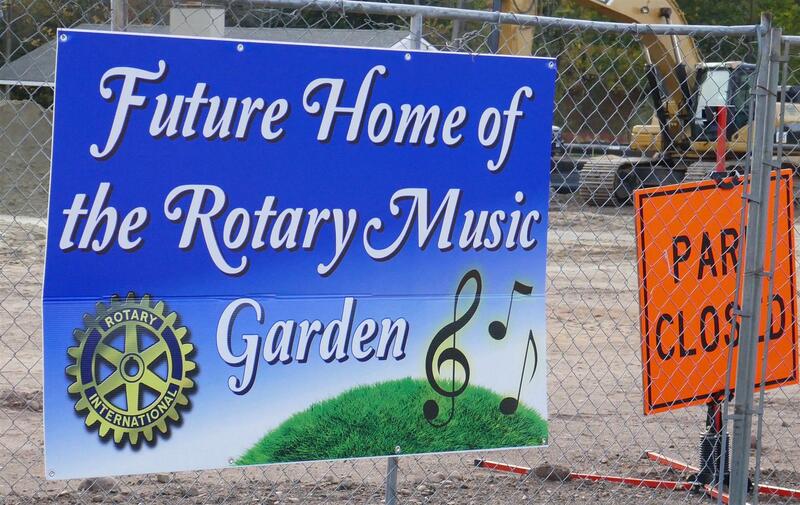 The Rotary Music Garden is discussed in this new town publication. The Manchester Rotary Club presented checks to two local charities today. 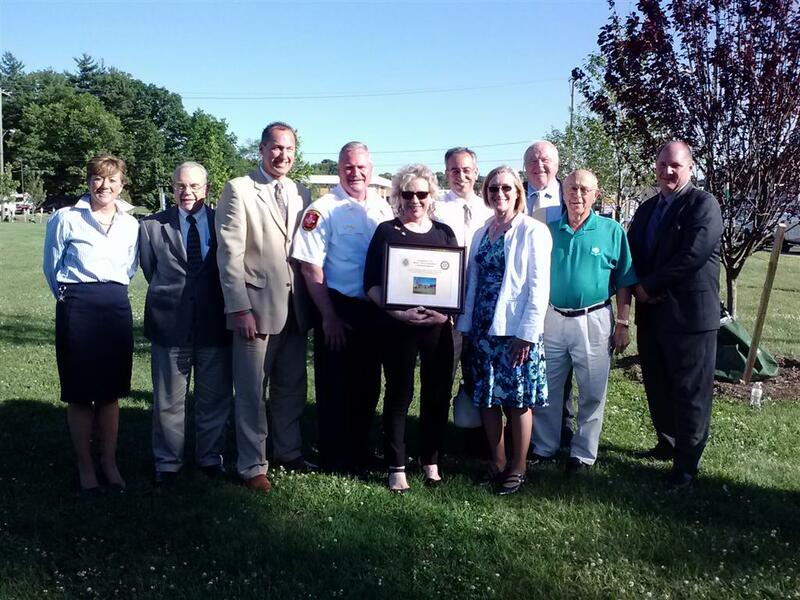 The Rotary Club of Manchester has joined with the Town of Manchester to develop a “Rotary Music Garden” as part of the overall redesign of Charter Oak Park. The park has a planned re-opening during the summer of 2017 and site preparation is currently underway. 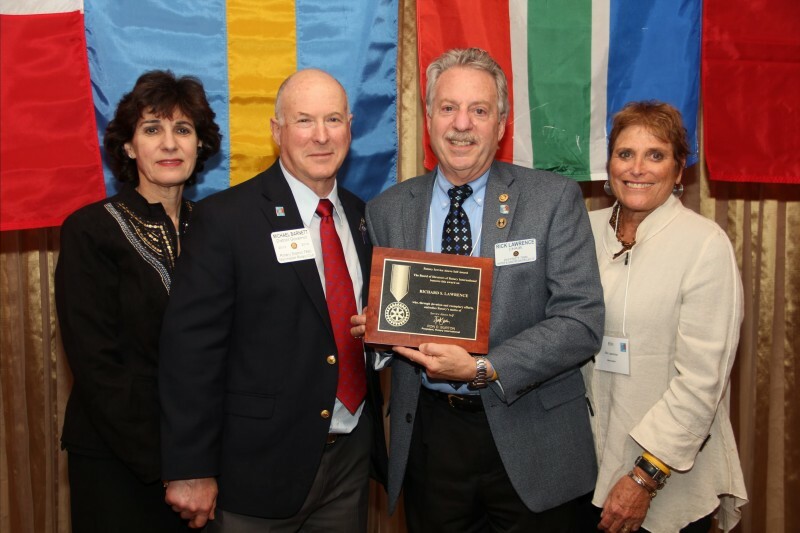 Richard Lawrence, a longtime Manchester Rotarian, received the "Service Above Self" Award at the Rotary District 7890 annual conference. 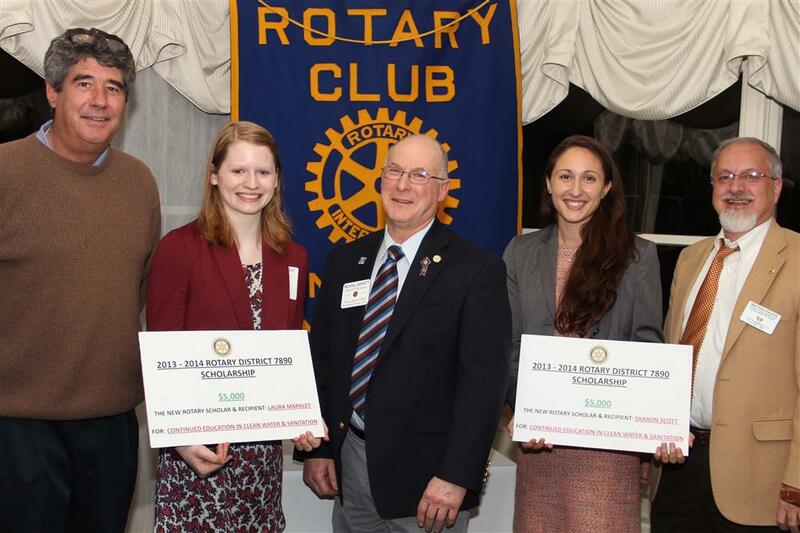 The Rotary Club of Manchester participated in District Scholarship Awards and recently awarded a scholarship to Laura Markley, a junior at Eastern Connecticut State University and to Sharon Scott is a senior at the UConn. Both women are focused on the environment with special emphasis on clean water projects, a program of the Rotary Club. 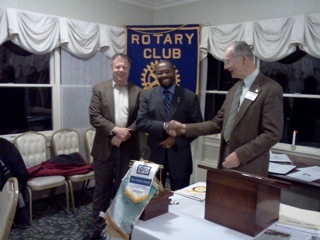 Manchester Rotary welcomes its newest member... Mr. Peter Harris. 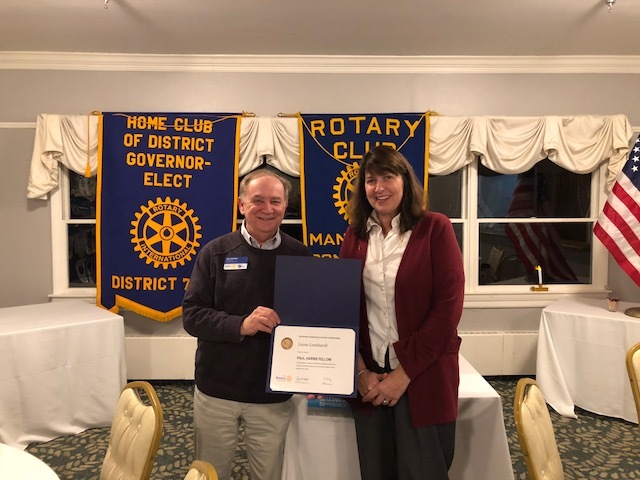 Manchester Rotary is honored with a proclamation from Mayor Leo Diana. Manchester Rotary welcomes its newest member... Dr, Richard Kisiel. Past and future attendees of Camp Farwell get together with Bob & Charyl Hanson (the camp directors) and parents of campers. Rotary members provide free dictionaries to area students. The Manchester Rotary is leading an effort to build a memorial tribute to the victims of the Hartford Distributer shooting tragedy. Food Drive a Huge Success! Manchester Rotary Club challenges Vernon club to a food fight! 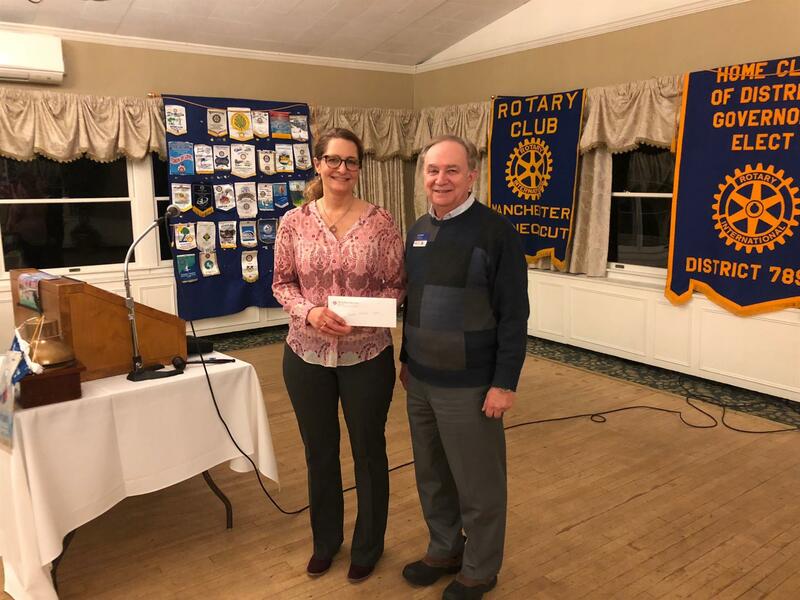 Manchester Rotary Club Donates $9,132.88 to ECHN Cancer Center! 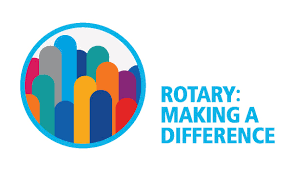 The Manchester Rotary Club can now be found on Facebook as well. A food drive organized by Rotarian David Skoczulek raised over $14,000 in donations of cash and food!